Zapier lets you connect Visual Visitor to 1,000+ other web services. Automated connections called Zaps, set up in minutes with no coding, can automate your day-to-day tasks and build workflows between apps that otherwise wouldn’t be possible. How do I connect Visual Visitor to Zapier? Use your credentials to connect your Visual Visitor account to Zapier. Need inspiration? 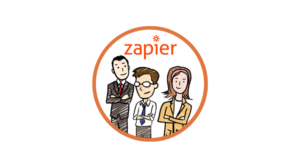 See everything that’s possible with Visual Visitor and Zapier.